Most of the Yocaher longboards is strong, sturdy and quite durable in nature. If you prefer a high speed riding, then no problem with these longboards and will provide a secure feel for you. Total body parts are made according to riding style and riding surface. Since the Yocaher longboards is very strong and flexible, a rider can sit on the deck at the time of dropdown going. The chance of falling of the riders is almost zero due to lower center of gravity and it is really enjoyable without any fear. The customer shows their actual feeling as a comment on Amazon. Yocaher longboards is well renowned for its unique look, elegant design and high performance. Average 4.4 stars rating out of 5 has earned by almost all the longboards. 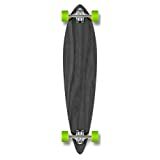 Among them, some are totally outstanding such as Special Graphic Complete Longboard PINTAIL skateboard w/ 70mm wheels has earned AMAZING feedback from the user. Yocaher longboards is always ensuring all types of riding action with very high speed. 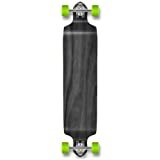 Though all riding feature has found in every longboards but some longboards are made to gain special riding action including Freeriding, Downhilling, and Cruising. The Drop Down board is a perfect example for downhilling due to thicker deck with less flex. The design and color of Yocaher longboards are more than unique. 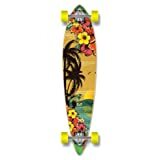 The special designs of these longboards are appreciated by all classes of customer. A customer who likes elegant design must be checked these boards. Some longboards have taken special care for design and color. An example of such kind of longboard is Yocaher Professional Speed Drop Down Stained Complete Longboard. Most of the decks manufactured by Yocaher have a specialty for its ultimate function. The riding style determines the compactness and flexibility of the deck. The number of ply is increased due to make the decks thicker and such kind of decks are mainly made of bamboo or maple. YOCAHER using 9-ply super hard Canadian maple for their main products. Since the wheel determines the surface condition on which the longboards can ride smoothly, they have made a wheel with special features. Most of the wheels are made with hard plastic and the Pintail has 70x52mm wheels 78A hardness. 78A means the wheels are pretty soft and easily absorb any kind of shock for smooth riding. YOCAHER New Complete Longboard KICKTAIL has used a 7” aluminum alloy trucks. Most of the trucks have included the entire requirements feature for a fun and safe riding. Relatively larger and wide trucks ensure adequate riding without any wheel bite. Since the bushes used for sharp and smooth carve, the Yocaher longboards has high quality bushes and have a perfect combination. No need to replace it. Abec7, Abec 5 and Abec 3 bearing is commonly used for longboards manufacture by the Yocaher. Most of the parts including bearing are strong and durable enough that remains unchanged after absorbing any kind of stress or shock of rough or smooth surface. Check out our Top 5 Yocaher longboards! After going through our article on the Yocaher you may have a relatively fair idea about Yocaher brand. So, are you ready to have great fun and put all your energy into learning or riding Yocaher brand longboards now? Pull up your courage and tackle the most difficult challenges in your ride with ease and comfort using Yocaher brand longboards. Every longboard has its own speciality and each one is unique in its own. 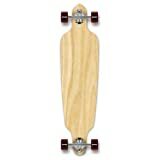 Besides being very cheesy, these Yocaher longboards are quite creative in nature and very popular among the youngsters. While these longboards do not discriminate amongst the beginners or experts, anyone who would ride them would definitely love it. These longboards are another name for enthusiasm and excitement. Riders get a great feel of enthusiasm and passion.